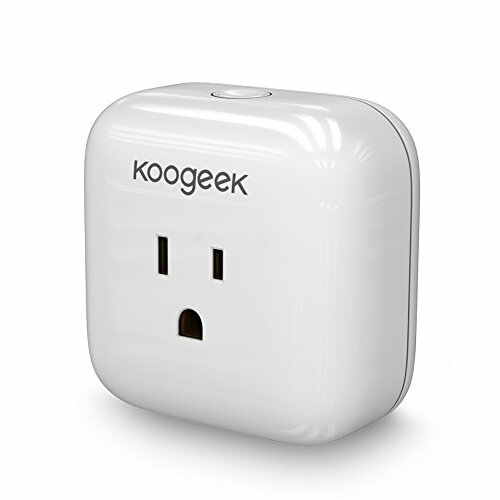 With the Koogeek Home app, throughout easy setup, you can easily control, monitor, and schedule any connected device from anywhere. The Smart Plug is great for lamps, fans, holiday lights, small heaters, electric fireplaces, and much more. The SmartPlug is a connected plug that lets you control, monitor, and schedule electronics throughout your home using your iPhone, iPad, or iPod touch and Siri voice commands. Note: If you have an Apple TV (3rd generation or later), you can use Siri control commands when you're away from home.